To order the Kbed Acme Nut, Call 800-475-8122. 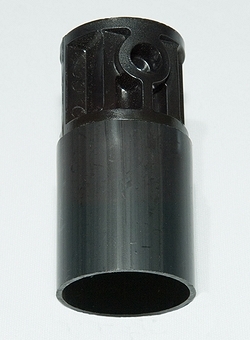 A Maxwell Acme Nut is a commonly replaced part on the Maxwell Kbed. 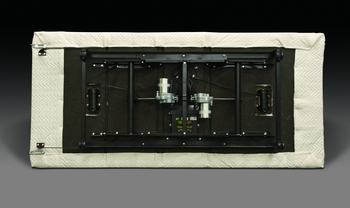 It was uniquely designed to break instead of the motor if excess weight is placed on the bed. 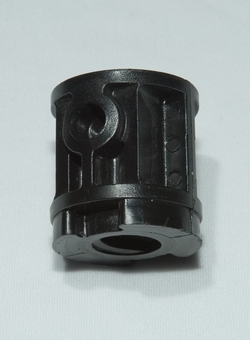 Other beds require that the whole motor must be replaced while the Kbed can be affordably repaired with the replacement of these Kbed Acme Nuts. The Maxwell acme nut at the foot of the bed has a "tube collar" attached that causes the foot motor to shut off sooner than the head motor. We manufacture the black Maxwell Kbed acme nut pictured here, older beds had a light blue nut, unfortunately we do not manufacture these. The black pair is sold as set for $40 shipped. Orders called in before 3PM CST during business days, are typically shipped the same day. Call 800-475-8122 to place an order. We accept all major credit cards except American Express. More information about Electric Beds. Download the Maxwell Kbed brochure. Copyright © Maxwell Kbed Acme Nuts - All Rights Reserved.